**Bench Seat* *Backup Camera* *25 MPG** FREE CAR WASHES FOR LIFE AND 1 FREE OIL CHANGE WITH ANY PURCHASE! 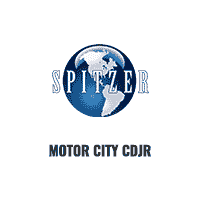 All of our vehicles are marked with our Spitzer Value Price meaning that we have already done the research for you and have provided our absolute best price upfront on every vehicle! We are only 1 hour from Cleveland and Columbus and offer free airport pickup!!! We also offer secure online credit applications or call to do one over the phone. **Backup Camera* *Bluetooth* *Bench Seat w/ Rear Stow-N-Go* *25 MPG** FREE CAR WASHES FOR LIFE AND 1 FREE OIL CHANGE WITH ANY PURCHASE! All of our vehicles are marked with our Spitzer Value Price meaning that we have already done the research for you and have provided our absolute best price upfront on every vehicle! We are only 1 hour from Cleveland and Columbus and offer free airport pickup!!! We also offer secure online credit applications or call to do one over the phone. **DVD Rear Entertainment* *Backup Camera* *25 MPG** FREE CAR WASHES FOR LIFE AND 1 FREE OIL CHANGE WITH ANY PURCHASE! All of our vehicles are marked with our Spitzer Value Price meaning that we have already done the research for you and have provided our absolute best price upfront on every vehicle! We are only 1 hour from Cleveland and Columbus and offer free airport pickup!!! We also offer secure online credit applications or call to do one over the phone. **Stow-N-Go Seating* *Backup Camera* *25 MPG** FREE CAR WASHES FOR LIFE AND 1 FREE OIL CHANGE WITH ANY PURCHASE! All of our vehicles are marked with our Spitzer Value Price meaning that we have already done the research for you and have provided our absolute best price upfront on every vehicle! We are only 1 hour from Cleveland and Columbus and offer free airport pickup!!! We also offer secure online credit applications or call to do one over the phone.